This ad is actually part of the Nationwide Insurance “life comes at you fast” campaign. This billboard is NOT an advertisement for paint. 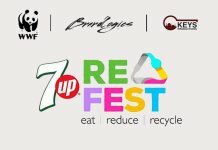 This billboard uses the paint to drive the slogan home. 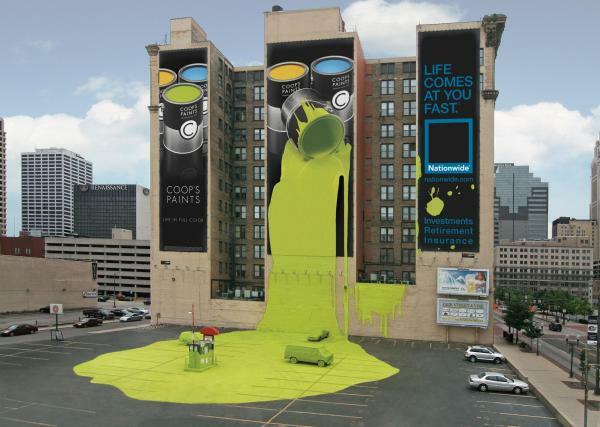 The paint looks as if it flowed right off of the billboard, covering the side of the building, the parking lot, and even a couple of cars below.